For many years, Café Rio and Costa Vida have been the subject of rumors in the food industry. Most people claim that it was not just because of the eerie similarities between the two Tex-Mex food chains but also, due to the lawsuit that shook their foundation. Back in 2005, Café Rio allegedly sued Costa Vida, formerly known as Costa Azul Fresh Mexican Grill. 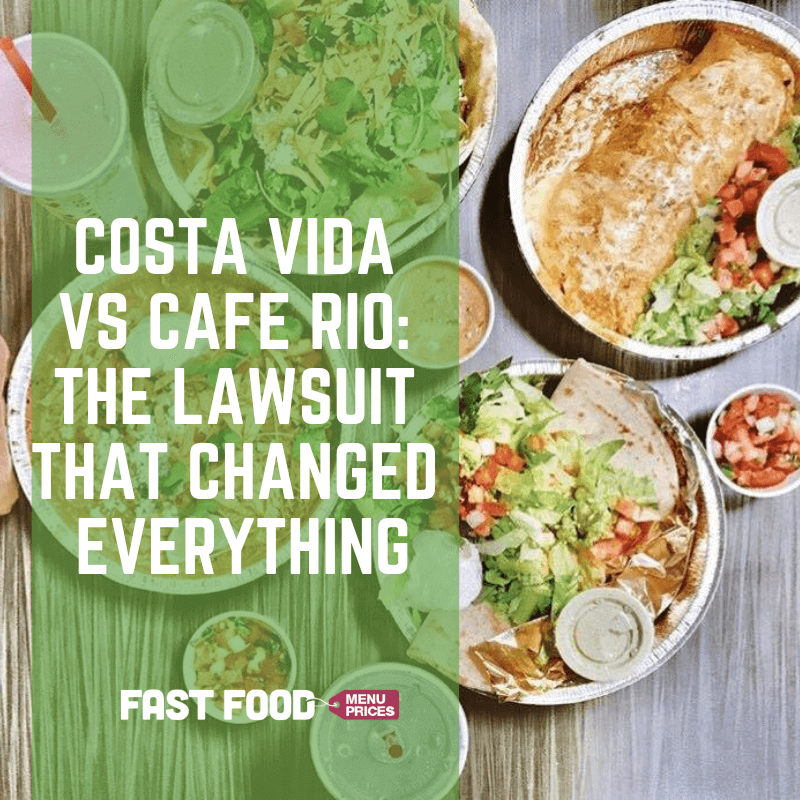 Accusations of recipe theft, copying of layout, and even the diner card concept were laid on the table by the complainant for unfair competition against the Costa Vida. It was in the year 1997 when Steve and Patricia Stanley began the humble beginnings of Café Rio in St. George, Southern Utah. The couple used what they have seen traditionally done in Southern Texas and was inspired by the recipes of their grandmothers. In the year 2004, the company began it’s expansion outside of Utah through the help of Bob Nielsen. Moving forward to Arizona, California, Colorado, Nevada, Montana, Wyoming, Idaho, Virginia, and Maryland where a total of 80 franchises was born. Ever since its inception, Café Rio has been winning awards after awards, such as the Utah’s Best of State, #1 Overall Quick Service Restaurant in the country, and INC 500. As if that is not enough, the restaurant is also passionately involved in building the future of the communities near them and has helped in taking care of the less fortunate souls. On the same yet very different note, Costa Vida (nee Costa Azul) began in 2003 when husband and wife tandem, JD and Sarah Gardner, discovered the Mexican lifestyle in Cabo San Lucas during a vacation. The couple fell in love with the beautiful beaches and the fresh food made with so much passion and love. As a result, they opened their flagship restaurant in Layton, Utah. Serving only the best and freshest quality of ingredients, everything that is offered in the food chains are made from scratch. Tortilla is handcrafted, beef is slow cooked, and the guacamole is made from recently picked or smashed avocado. It is also worth mentioning that the kitchen is under a certified Executive Chef. Based from Yelp reviewers and bloggers, customers can easily identify the similarities but will be blown-away by how different Café Rio and Costa Vida are from each other. Starting with the theme, although both consider themselves as Mexican, Café Rio wins hands down. It is more Mexican while Costa Vida has a more beach-inspired theme, no matter what they advertise. 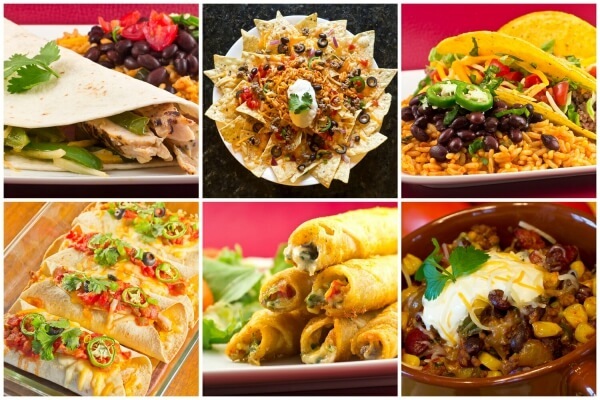 Café Rio has about 73 restaurants all over the country while Costa Vida has 52 locations. Both offer online service but due to it’s “newness”, the latter seems to be more visible to the younger crowd. In terms of portion size, Costa Vida offers two sizes, which are regular and small, while Café Rio only has one standard size. However, this standard size can feed up to two people while Costa Vida is more of a single serving size, no matter if it’s regular or small. Costa Vida offers a variety of flavors for their chipotle, like mango chicken or the delicious raspberry flavor. It is very American but also happens to be uniquely theirs. This is another reason why Café Rio seems to be more Mexican in their theme as they stick to the original flavors available in Mexico. The legal disputes were settled in 2007 before it even became an issue and tactfully, the terms have not been disclosed to the public. However, the damage has been done as most customers now has a tendency to compare the two. Over-all, while Café Rio and Costa Vida may be confusing at first, the two are obviously too different to make the comparison a big deal. Most reviews claim that the food, layout, and price are all similar except for the taste, saying that Café Rio has a slightly higher edge in that department. It can be stated that the competition is a close fight but if the tortilla, burritos, and pork will be the basis, most would risk their lives in announcing that Café Rio has a better taste. The crowd lining up outside the stores can be the deciding factor as well. If a customer wish to have a seat as soon as he enters the store, he needs to pick Costa Vida. If a customer is after the noise and the crowd, Café Rio will not disappoint as there is always a line forming in every store. ← Manic Monday Coffee Rush Test: Starbucks or Dutch Bros Coffee? Costa Azul changed their name and recipes after the lawsuit. Seems pretty obvious to me. Where were the grammar police for this one? Based on the number of typos and grammar errors this was not reviewed before posting. The blatant use of unfounded opinion is comical. For starters, Costa Vida opened its 75th restaurant in February 2016. Secondly, I don’t know what it is like in Utah, but in Arizona where both chains are prominent it is near impossible to get a seat in Costa Vida anywhere near a mealtime. This, however, is an unfair comparison due to a disproportionate number of restaurants in the same geographical area (10 Cafe Rio’s vs 5 Costa Vida’s means that theoretically there would be half as many people dining at each Cafe Rio, even though the same number of people prefer each chain). In short, you are entitled to your opinion no matter how silly it may be, but as for me… Give me Costa or give me death! P.s. In case you can’t tell I prefer Costa Vida. I ate at Cafe Rio again today just to make sure it was still sub par… it was. I agree with Josh. You guys need a copy editor to proof your work. I’m also in agreement with Josh on taste. Costa Vida’s steak is so much tastier than Rio’s.